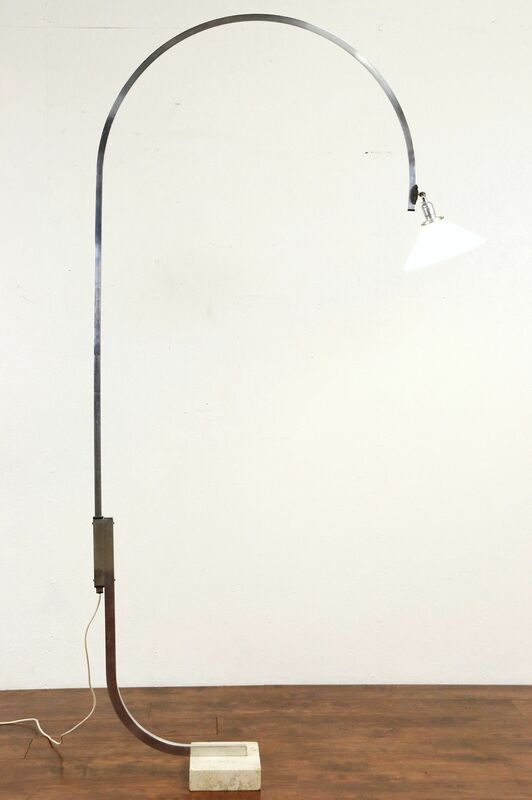 A classic design from the 1960's, this adjustable Midcentury Modern "arc" shaped floor lamp has a genuine Travertine marble base for stability. There are chips to the base, the swivel milk glass shade is 10" diameter and fitted with a standard base socket. The arc frame is polished aluminum on this American made light. Size is 43" overall across, 8" deep and height adjusts from 69" to 90."